How Do I Learn EFT? EFT means "Emotional Freedom Techniques" and is a powerful self-help method based on research showing that emotional trauma contributes greatly to disease. Clinical trials have shown that EFT tapping is able to rapidly reduce the emotional impact of memories and incidents that trigger emotional distress. EFT uses elements of Cognitive Therapy and Exposure Therapy, and combines them with Acupressure, in the form of fingertip tapping on 12 acupuncture points. Over 100 papers published in peer-reviewed medical and psychology journals, including dozens of clinical trials, have demonstrated that EFT is effective for phobias, anxiety, depression, posttraumatic stress disorder, pain, and other problems. • According to a news report on Examiner.com, EFT is “one of the most successful psychology self-help techniques ever developed.” Over 5 million people a month search online for "EFT tapping" and related terms, and the 5 highest-traffic EFT web sites have over 2 million page views a month. • The EFT Universe community was founded in 2010 by Dawson Church, PhD, author of the best selling and award winning science book, The Genie in Your Genes, as well as the latest edition of The EFT Manual. 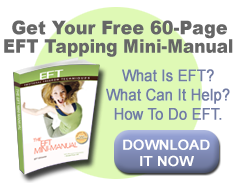 • The The EFT Mini-Manual and earlier editions of The EFT Manual have been downloaded by more than 2 million people. • The mission of EFT Universe is to bring the healing benefits of Emotional Freedom Techniques (“EFT” or “Tapping”) to the greatest number of people consistent with high standards of ethics, integrity, and professionalism. • EFT Universe training and research is based on the standards defined by the American Psychological Association’s (APA) Division 12 Task Force on Empirically Validated Treatments. • According to the APA standards, EFT has demonstrated efficacy for anxiety, depression, PTSD, and phobias. • Over 100 scientific papers about EFT have appeared in peer-reviewed medical and psychology journals. These include dozens of randomized controlled trials, outcome studies, and review articles by invesigators from Harvard Medical School, Perdue University, Stanford University, University of Arizona, and many other top institutions. • EFT Universe has the largest EFT training and certification program in the world, offering over 100 workshops and training over 1,000 practitioners each year. • EFT Universe is the only organization whose trainings have been accredited for Continuing Medical Education (CME/CE) credit for all the major healing professions, including doctors (American Medical Association), nurses (American Nurses Credentialing Commission), psychologists (APA) and social workers (NASWB). • Donations from EFT Universe provide the primary funding for the Veterans Stress Project, which has helped over 10,000 veterans recover from PTSD. • EFT Universe reaches over 10 million people a year through the web site, news releases, books, social media, talk radio shows, training and certification. • Try EFT yourself by downloading our free starter package, The EFT Mini-Manual. It gives you all the basics and allows you to test drive EFT on your own issues (although at a beginner's level). If you wish to dive right in, enroll for one of our workshops taught by EFT experts. You will also find clear and simple instructions in the EFT book series. Caveat: For people who are emotionally or physically frail, qualified health professionals should be consulted before using any health procedure, including EFT. • Read some of the many studies and papers on EFT that have been published in peer-reviewed psychology and medical journals, summarized in our EFT Research section. They demonstrate the wide variety of conditions which EFT has been shown to improve, and ranks EFT studies using the "evidence-based" standards of the American Psychological Association's Division 12 (Clinical Psychology) Task Force. • Read the exhaustive list of actual cases on this website. These are written by clients, therapists and physicians and allow you to see EFTs possibilities through the eyes of both newcomers and professionals. Stress is a component of virtually every mental and physical health challenge, so we encourage you to tap and assess how you change. Some people experience "one minute wonders" while for others healing takes working persistently with a trained professional. • Try it on both physical and emotional ailments. You'll notice that many people report that their physical ailments such as fibromyalgia, migraines, skin rashes and other problems diminish or disappear as their mental health improves after EFT. EFT uses the same Basic Recipe for every problem, since most of them involve stress. • You can enhance regular therapy by incorporating EFT. Many users report better results from medical treatment or psychotherapy after they begin to use EFT. EFT supplements everything else you're doing to support your health and well-being. Like any other stress-reduction method, EFT is not perfect. It is not a panacea, and it does not have a 100% success rate. But it usually works reliably for reducing stress, as you'll see if you read the research. The case histories on this site show that the results are often immediate, and last over time. EFT can often provide substantial relief with little or no emotional pain. This is not true for everyone, however. Psychological trauma can be intense and emotionally painful to deal with. If you have long-lasting or intense emotional or physical trauma it is essential that you consult your physician or licensed mental health practitioner before using EFT or any other stress-reduction method. EFT is not a substitute for medical or mental health treatment. Please share your experiences with EFT with your healthcare providers. • Free start for beginners: You can learn all the basics for free by getting our Free Get Started Package. It includes EFTs Basic Recipe that gives you the theory and all the tapping points. 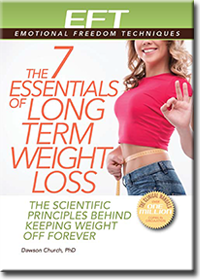 The Get Started Package also offers you a subscription to our free and highly informative Peak EFT Insights newsletter. This very popular e-zine comes once or twice a week and is loaded with tips, announcements and how-to's. • Serious students can save time by diving right in: EFT, at its sophisticated levels, is easily learned by professionals and laypersons alike. Thorough and detailed instructions appear in our EFT books and workshops taught by EFT experts. Step by step, with each section building on the one before, our workshops systematically train you in "Clinical EFT" as validated in research studies and described in the EFT Manual. Each workshop contains many hours of hands-on EFT practice under the guidance of experts. • To augment your learning, read the Free Tutorial. 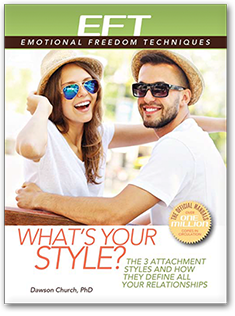 It contains many articles designed to refine your understanding of EFT and its many uses. You can also watch our free videos on EFT, and order a copy of the book, The EFT Manual, which contains the basic instructions for EFTs core concepts and methods. For frequently asked questions, visit our search engine, and find out how others have solved the same problem. For more information on applying EFT, visit the master page of the EFT Tutorials. 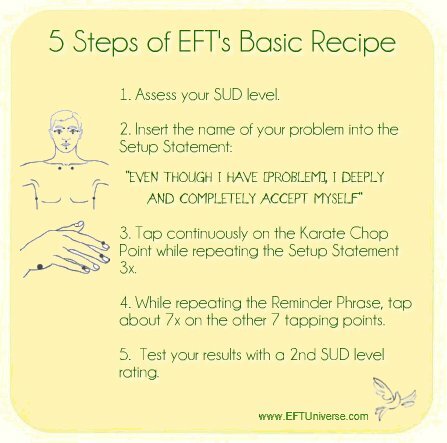 The tutorials cover many of the questions involved in applying EFT successfully. This is a huge site, with about ten thousand pages, but we make it easy to quickly find exactly the information you want using "hub pages" and our search engine. The primary purpose of the site is to share information about how people use EFT in the real world. Newcomers may run into a few unfamiliar terms. That's OK. You will still get plenty of useful exposure to EFT and its capabilities. The unfamiliar terms will fall into place as you gain experience. • Finish reading this section and print it out for future reference. • Next, get our Free Get Started Package that includes the basics of EFT and a free subscription to our EFT Insights Newsletter (where you will receive tips, announcements, how-to's, new findings, and special announcements). • Then go to Experience the Magic of EFT to get a feel for the wide variety of issues that EFT can address. • You can also get specific information on individual topics by entering the appropriate search terms into our website search facility. • Next, take an EFT workshop. These practical and inspiring workshops will extend your ability to apply EFT in practice. • If you have stories or videos about EFT to share, write them down and post them through our submission portal. EFT Universe strives to uphold the highest standards of practice and ethics. Certified EFT practitioners are trained in ethical standards, complete an ethics training course and a written ethics competency test, and sign a copy of EFTs ethics code as a condition of being listed on the site. Stories and products listed on this site conform to Clinical EFT standards; you can see our policies and procedures on our Policies page. If you're looking for a practitioner, we recommend you use one certified in Clinical EFT. These practitioners have completed a standardized training in the full range of EFT techinques, have passed a knowledge test, are trained in professional ethics, carry insurance, and have documented their case histories working with clients. They update their knowledge through recertification every three years. Only practitioners certified in Clinical EFT, and who are current with their recertification, are listed on our web site. There are thousands of other practitioners who are not certified, or certified in variants other than Clinical EFT. We recommend that you carefully assess their competence before engaging them. You can find them on the EFT Community Map, and on the Tapping Solution EFT Practitioner Directory. EFT Universe is one of the largest alternative medicine sites on the web. It contains or links to around 10,000 pages in 15 languages, and has hundreds of thousands of visitors per year. We’re the leader in EFT research and training, offering an excellent certification in Clinical EFT, a vibrant practitioner community, a strong affiliate program, and many free health resources. Here you can learn EFT free, subscribe to our free weekly health report, join our affiliate program, and find a workshop or practitioner near you. EFT Universe contains the archives of the international EFT community, and offers training, certification, and media for learning the "evidence-based" form of EFT, called Clinical EFT. We celebrate the values of love, joy, strength, wisdom, and peace throughout our organization! We have a passion for seeing people heal, and we know that EFT is one of the quickest and simplest ways to produce healing. That healing can encompass body, mind, emotions and spirituality. When one part of our experience is healed, such as physical pain, other burdens, such as anxiety and depression, can also be lifted. We reach over 10 million people a year through our web site, news releases, books, media, internet radio shows, training and certification. Our goal is to positively affect 1 billion lives. We’re also committed to conscious and compassionate communication, high professional standards, and sustainable values. We foster community and connection through our newsletter, our web site, our forums and our live events. EFT Universe is owned and maintained by Energy Psychology Group, Inc., a socially and environmentally conscious B corporation. EFT Universe is one of three divisions, the other two are EFT Interactive (online programs) and Energy Psychology Press (book publishing). Since 2008 Energy Psychology Press has published the standard guide to EFT, The EFT Manual, as well as many other books on Energy Psychology and EFT. EFT Universe certifications and trainings are based on EFT as described in The EFT Manual, ensuring a consistent application of the techniques. We define this as "Clinical EFT" since it is validated by research as an "evidence-based" practice.